Come to Las Vegas and enjoy a wide variety of activities and attractions! Buyer may receive a title fee credit, inquire for details! 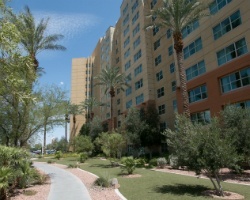 *RCI Gold Crown Resort* Featuring a finely appointed 1 bedroom, 1 bath suite that will accommodate 4 guests comfortably. Usage is annual in a floating week. Maintenance fees paid annually. For more information or to make an offer, please submit the inquiry form.